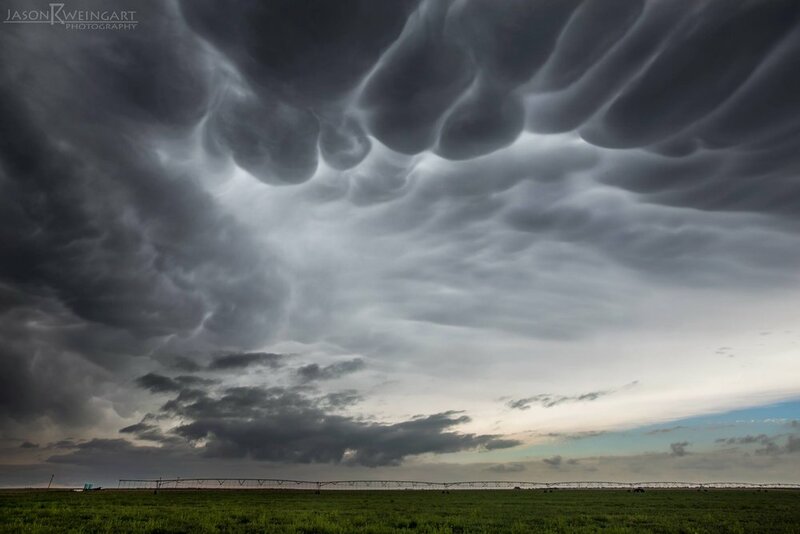 Topping off a very active week of severe weather in the Great Plains, nature had one last surprise for us. We targeted the town of Minneola, Kansas after some debate. We got to town as the cumulus field was erupting. We watched cannonball cumulus, a sign of a extreme instability. A storm quickly broke the cap and began moving Northeast. We watched it form a wall cloud and quickly show the telltale signs of tornadogenesis. There were two distinct areas of rotation and the southern one produced the first tornado. The two areas merged together and briefly disrupted the process as a stout funnel hovered above farmland south of Dodge City. The storm finally got things straightened out, planting a photogenic stovepipe tornado that remained on the ground for 20 minutes. 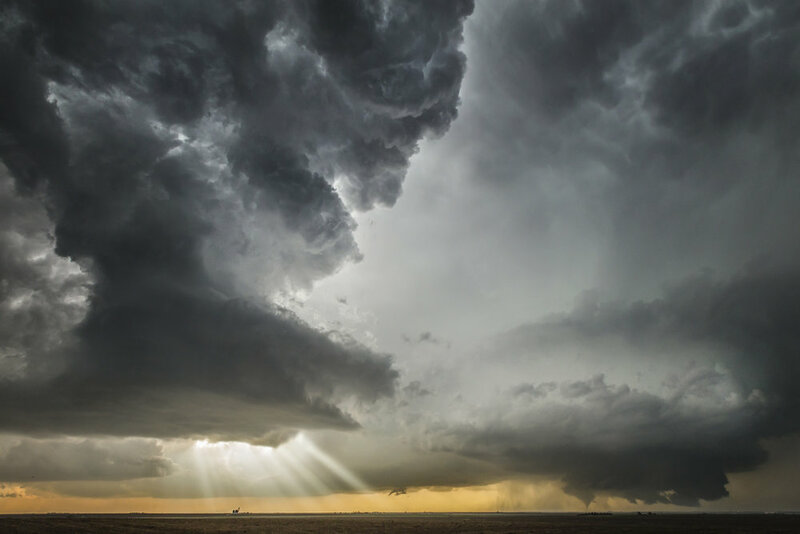 The supercell then cycled and produced its second tornado. Another EF3 stovepipe. The storm kept producing tornadoes for the better part of two hours. 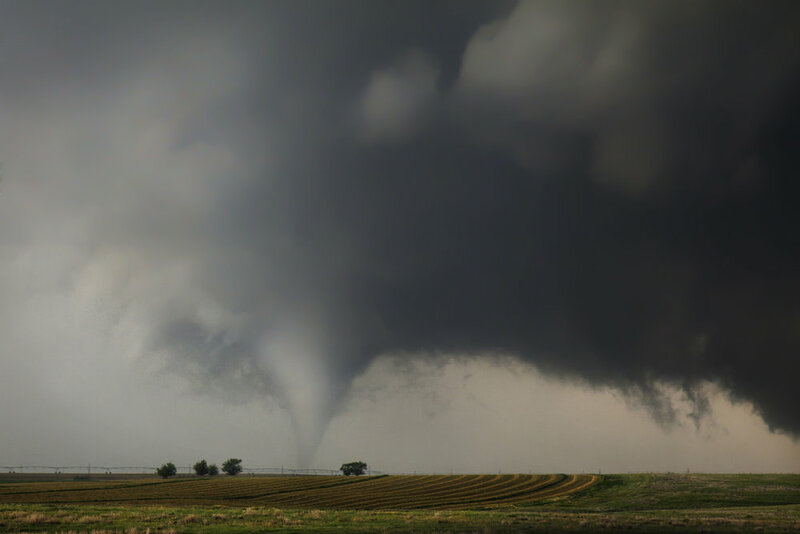 At one point, three tornadoes were simultaneously occurring. On two occasions there were twins on the ground. By the time it was all said and done, chasers lined all sides of the roads and the storm had produced upwards of a dozen tornadoes! We finally took our escape route to the east before dropping south to safety as storms clustered over the area. The day was a Slight Risk up and down the dryline with a 5% tornado probability in the Texas Panhandle.